Our office is typically open Monday-Friday from 9 am-3 pm. Email is often the fast way to reach us. Oregon Horse Country is a staff directed and volunteer driven 501 (c)(6) organization that is open to all throughout Oregon! Any person, business, or governmental agency having an interest and/or contributes to the purposes of this organization shall be eligible for membership. 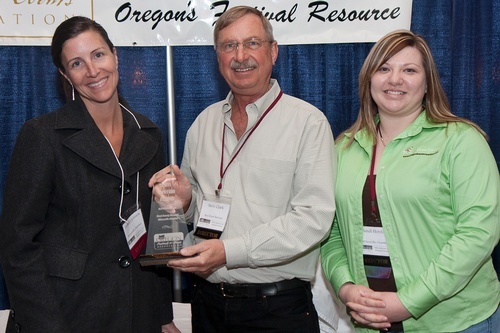 OHC provides a much needed statewide equine resource, equine business education, networking, and marketing for equine businesses and associations operating in Oregon. OHC also promotes equestrian tourism and activities throughout Oregon, and acts as the state's representative with the American Horse Council. Want to find an equine event to attend or participate in? Check out our statewide calendar here. Looking for an equine business? Click here to search our member directory.